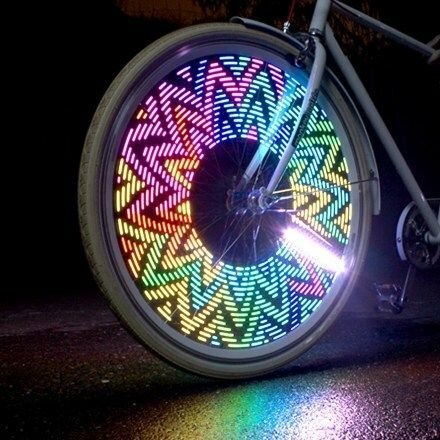 Light up the night with cutting edge digital light art. A rugged, practical, high performance bicycle light that keeps you visible in all weather conditions. 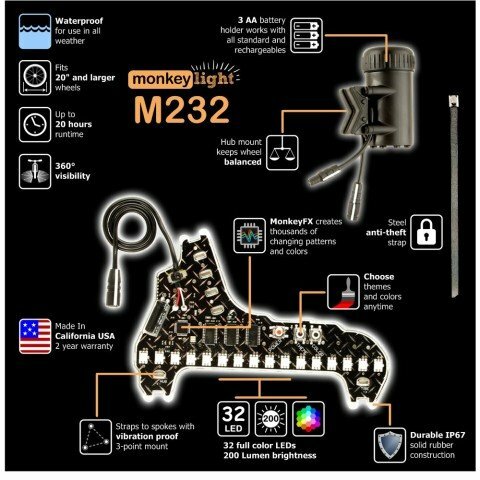 Includes 32 LEDs and 42 themes. Dimensions: Light; 6.5" x 4.3" x 0.4"; Battery Holder: 3.3" x 2" x 1.5"